Billy Duffy from iconic British rocker band The Cult recently sat down for an extensive interview with MusicRadar to talk about his band’s upcoming album – Choice of Weapon – his relationship with singer Ian Astbury and, of course, his love of the Gretsch White Falcon. 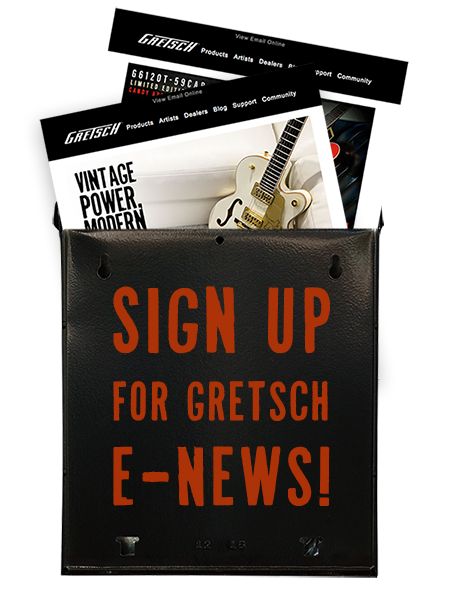 But Duffy also caused a stir when he hinted that he and Gretsch are developing a signature model of his favorite guitar. “You know, I’m not a hoarder of guitars. I’ve got a few Gretsches, and they’re all good, working guitars,” Duffy said. “I don’t use them all the time, but I use them when I can. It’s a pretty big thing, you know, the Gretsch – it’s heavy. Duffy admitted that he had eyed Gretsch products for a long time, and once he had the capital to purchase one, there was no questioning what direction he was going. “Soon after, I got in the band Theatre Of Hate, and ironically, the singer played a Gretsch. He had an odd-green model, with the pickup by the neck – it was great. Read the full interview with Duffy here. The Cult is performing at the SXSW Music Festival on March 17, and Choice of Weapon is due out May 22. For a download of lead single “Lucifer,” check out the band’s official website.